This small market town situated in mid-Wales is a perfect base for exploring. 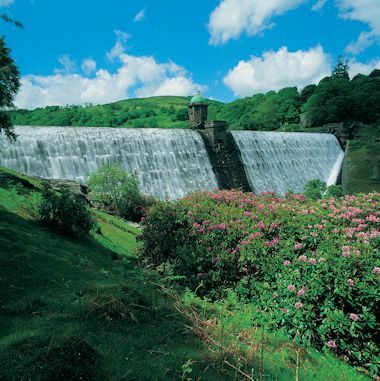 The name Rhayader or Rhaeadr Gwy in Welsh means 'waterfall on the Wye'. Rhayader is a busy and historic market town in the north-west of the ancient county of Radnorshire. It is the first town on the banks of the River Wye and has long been a vital centre for the farming community with its flourishing livestock market serving a large rural area. 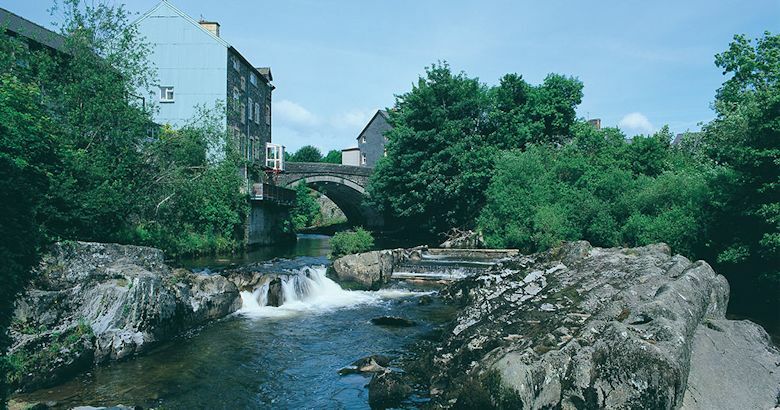 The town lies at the crossroads of important routes from south to north and east to west through central Wales with a bridge over the River Wye. In the 18th and 19th century, sheep and cattle drovers traversed the Cambrian mountains destined for English market towns of Banbury, Hereford and London. 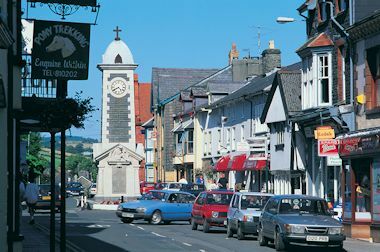 The clock tower in the middle of Rhayader acting as the historic crossroad midway between North and South Wales and was a mid 19th century vital staging post on the famous coach road from Aberystwyth to London. 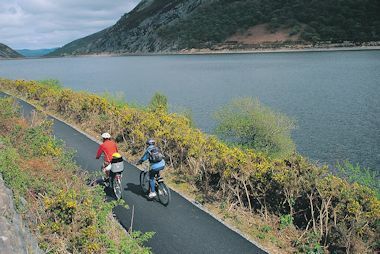 The surrounding countryside can be easily explored by bicycle and has a wide range of places to stay including caravans, camping, bed and breakfasts, self-catering cottages or Hotels. There are plenty of places to provide good food and drink. 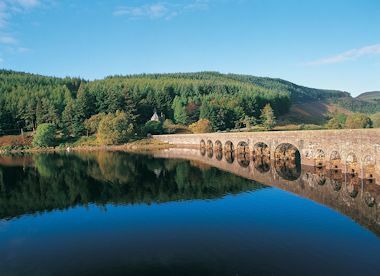 The town has a wonderful riverside walk, two large free car parks and the nearest Train Station is 12 miles away at Llandrindod Wells - on the Heart of Wales line. 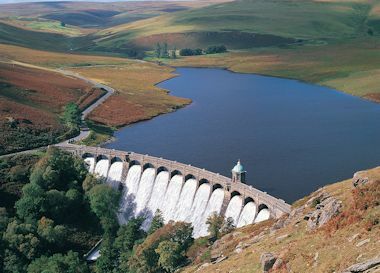 Like the other local communities, Rhayader and the surrounding area underwent great changes during Queen Victoria's reign and became a popular place to visit. The town of Rhayader back to the 5th century. Prehistoric evidence exists of earlier Bronze age and Roman settlements The castle was built by the Lord Rhys of Deheubarth, in 1177 at the fringes of his kingdom to resist the Normans and Flemish. It was rebuilt by him in 1194. This later work may have been reinforcement in the face of a threat, since shortly afterwards the castle fell to Maelgwn and Hywel, sons of Cadwallon ap Madog of Maelienydd, the adjoining kingdom to the east. They almost immediately lost it to English Mortimer forces, but it was soon regained by the Lord Rhys. "The castle of Gwrtheyrnion" (the Rhayader area) was again regained by the Welsh in 1202, although it is not clear how they had lost it. Overall, it lasted only fifty years before being put under siege and destroyed by fire in 1231 by soldiers from North Wales. It was between 1839 and 1844 that the local areas were witness to rioting. The root of this was the hard lives the poor of both town and country were living, the perceived lack of interest by those in power and the pressure from changes that were happening. 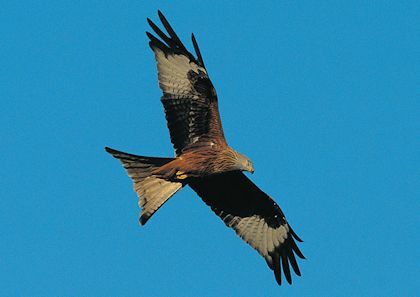 Tenant farmers and farm workers across Wales were finding the high toll charges a real burden. Rhayader had no less than six toll gates on the roads into the town making journeys and bringing animals into market expensive. Additionally, prices of stock had fallen harvests were poor. The increase of tithe payments to the church not helping the situation. Those not managing had to rely on the new Poor Law Unions and the workhouse. Eventually people became so angry that they resorted to violence. Local tollgates were a convenient target. No-one is completely sure why the local tenant farmers and workers created Rebecca and her daughters as a disguise, but it is thought that the idea comes from the Bible. In Genesis Rebecca recommended that some "possess the gates of those which hate them". The different groups of attackers were often led by a "Rebecca" and were all dressed in women's clothing. Before the creation of the Radnorshire Constabulary each parish had a constable, held together by a chief constable for each group of parishes. Pay and training were not provided and those willing to do this task did so as well as their own jobs! Normally, their tour of duty lasted one year, however, courts would not allow them to finish their duties unless could list three men who had not served as a constable for ten years and from which their replacement was chosen! Indeed, the job was so unpopular the Chief Constable of Knighton ran away rather than do his duties ! All this changed in the 1840s when the government allowed counties to set up a proper county police force or constabulary. Montgomeryshire set up such a force, but Radnorshire didn't. It did employ Special Constables to oversee these local parish constables, though. These were the first paid policemen in Radnorshire. Centuries old handcrafting skills are used in the Welsh Royal Crystal glass making workshops. All crystal pieces are individually mouth blown and hand cut, thus capturing the clarity, brilliance and sharpness of cut associated with quality crystal ware. The range of shapes and decorative cuts embraces Traditional, Intaglio and Celtic design influences, which are unique to Welsh Royal Crystal products. The most stringent quality standards are applied to ensure that only the finest quality is stamped with the Welsh Royal Crystal assay mark - the traditional Welsh Dragon stamp represents a symbol of quality.